San Antonio is one of our favorite spots in Texas. The city is rich in history with destinations like the Alamo and it is also known for restaurants and bars producing some amazing margaritas. The margarita recipes these establishments are creating remain as some of the best in the Lone Star State. Frozen or on the rocks, you can find some of the best margaritas in San Antonio. Acenar – 146 E. Houston St., San Antonio, TX 78205 – We found this to be one of the freshest tasting margaritas available in San Antonio. La Fogata – 2427 Vance Jackson Road, San Antonio, TX 78229 – This place receives a lot of buzz for serving up one of the best margaritas in San Antonio and deserves it. La Margarita – 120 Produce Row, San Antonio, Texas 78207 – Great atmosphere for a delicious margarita indoors or out on the patio if the weather is nice. 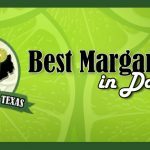 Mamacita’s Mexican Restaurant – 8030 IH 10 W, San Antonio, TX 78230 – Located away from downtown San Antonio, Mamacita’s is making some great drinks. Mi Tierra – 218 Produce Rd, San Antonio, TX 78207 – A historic restaurant and a must do on any trip to San Antonio and the margaritas are tasty too. 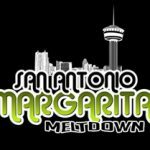 Rita’s on the River – 245 East Commerce Street, San Antonio, TX 78205 – Extensive list of margaritas on their menu and easy to find right on the Riverwalk. 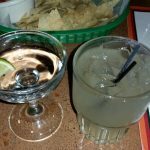 Rosario’s – 910 S Alamo St, San Antonio, TX 78205 – Exceptional margaritas and a favorite of locals and out of town visitors. 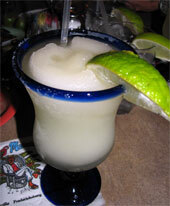 Do you agree with the restaurants and bars making this Best Margarita in San Antonio list? What margaritas have we left off? If you have a hidden gem that is missing above, please let us know. We would enjoying hearing your experiences. If you would like to see where our margarita tasting travels have taken us throughout Texas, check out our alphabetical listing of reviews or our interactive map.